Quinns: What do we want?! 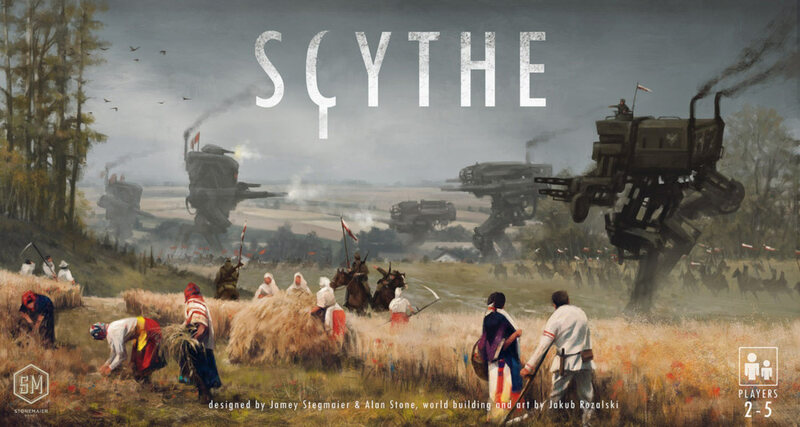 Set in the brain of fabulous artist Jakub Różalski, Scythe is a mashup of agrarian 1910s Eastern Europe and BIG OILY MECHS. I expect it’s going to do astonishingly well when it arrives on Kickstarter next year. Designer Stonemaier Games (Viticulture, Euphoria) describes it as Agricola meets Kemet, with players managing their farms while playing a wargame, squabbling over said farmland. What I like is that rather than placing resources you’ve earned off to one side, you have to put them on the map where they were harvested. Meaning, of course, they can then be plundered by opposing armies. That’s about all we know right now, but we’ll bring you more as it’s announced. Hey, I’ve just noticed that the Stonemaier site has the most astonishing hoard of first-hand advice on running a Kickstarter I’ve ever seen. What lovely guys. Good luck with your oily, agrarian game, lovely guys! The above is (wait for it) a forthcoming collaboration between design heavyweights Bruno Faidutti (Mascarade, Red November) and Bruno Cathala (Shadows over Camelot, Cyclades). 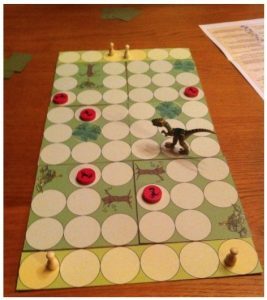 And yes, it looks like something invented by your 6 year old nephew, right down to the plastic dinosaur. God I love board gaming. The plastic dinosaur is actually vital. 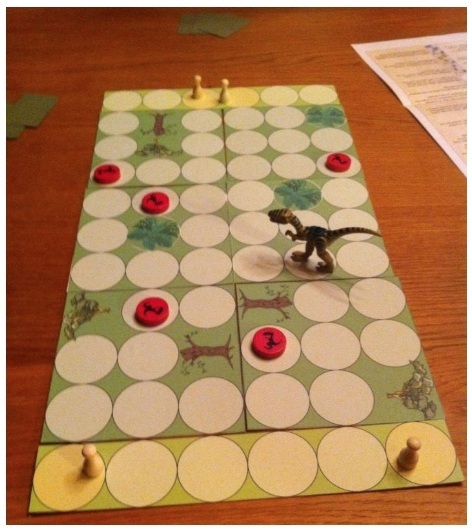 The game’s called Raptor, you see, probably referring to a velociraptor. It’s for 2 players. And… actually that’s all that’s been announced. But let’s see if we can’t take a closer look and spot something the other sites missed. 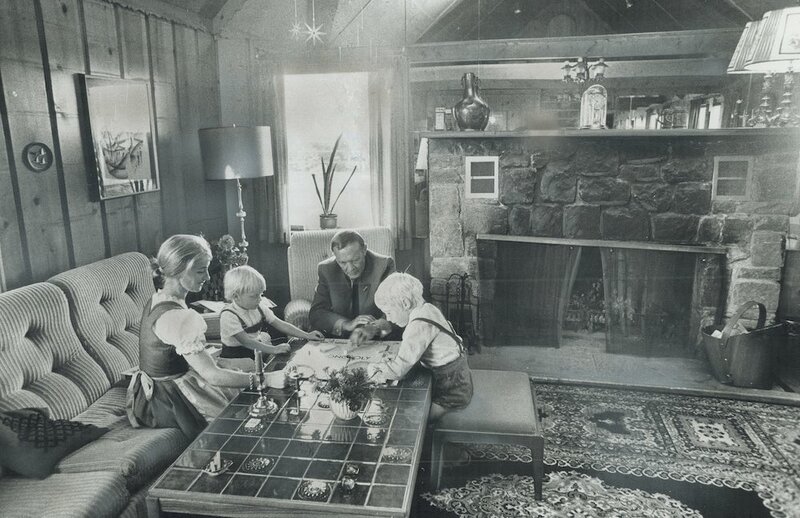 What if the little pawns are people that have to get from one side to the other? The board is segmented! It can probably be rotated or randomised or ripped up in an act of purest rage. There are some little green squares off to one side! Maybe one player can block certain paths. Or maybe they are delicious seaweed sheets for the victor. There are rules in the upper right, there. 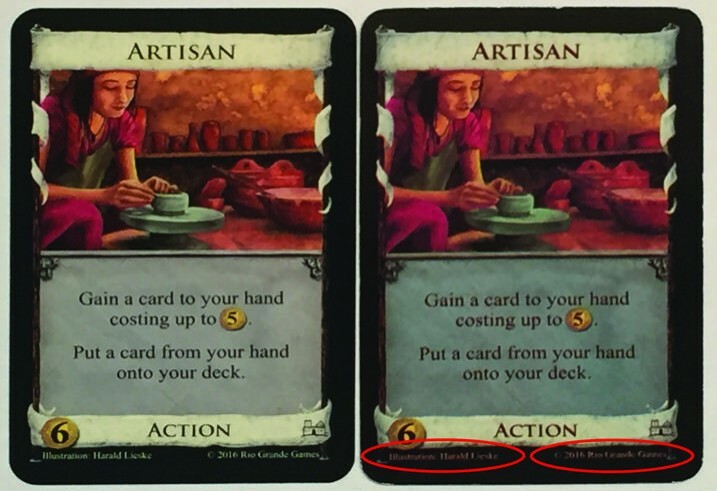 Therefore the game will feature a rule of some kind. A new edition of venerable 2003 release Mare Nostrum is in the works, which will fine-tune the rules and update the art of this game of “commerce, construction and expansion”. I think the old game (seen above) is still a looker, though. I think this year I overdosed on vibrant colours and stylised characters. Right now I just want a nice beige map with a nice cube on it. Maybe a little wooden ship. Bliss. 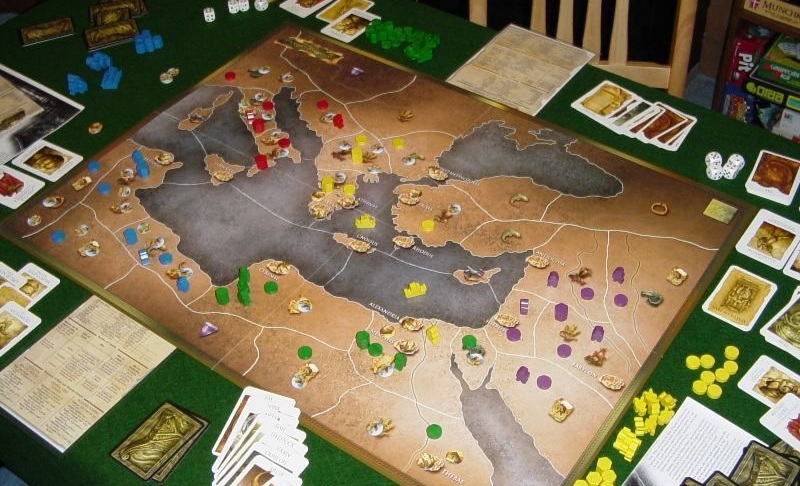 For more veteran board game reviewers than us, these “trading in the Mediterranean” games are a source of ridicule, just because there were so many of them. SU&SD came a little late for that, though. I’ve never played one of these games we keep hearing about, leaving me with a terrible desire to trade some Mediterraneans. I bet I’d be good at it. Abraca… what? has the best name we’ve seen this month, that’s for sure. 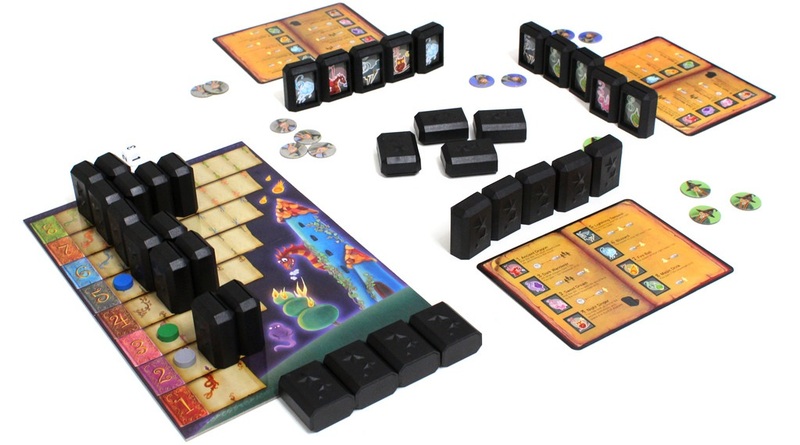 While it might look like the forbidden lovechild of Dixit and a cheap Mahjong set, this upcoming game casts players as forgetful wizards trying to cast the spells in front of them that everyone except them can see. You can have a read of the rules here, but the nut of is that on your turn you might shout “FIREBALL”, because you can’t see any fireballs in front of your opponents. If you have that stone then you cast the spell and hurt an opponent, otherwise you lose one life. Slowly, through trial, error and deduction, you can ping your enemies into their grave. Pretty sure the fun of this game will come down to players shouting the spells names with as much wizardly vigour as possible. Oh man I am so hot for this. 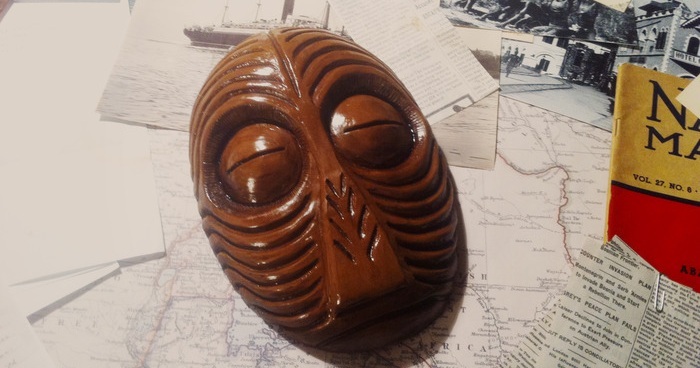 For the low, low price of $65 Kickstarter creator Ben Patey is sending people a veritable shitload of creepy 1920s props for the Masks of Nyarlathotep campaign for the Call of Cthulu RPG. 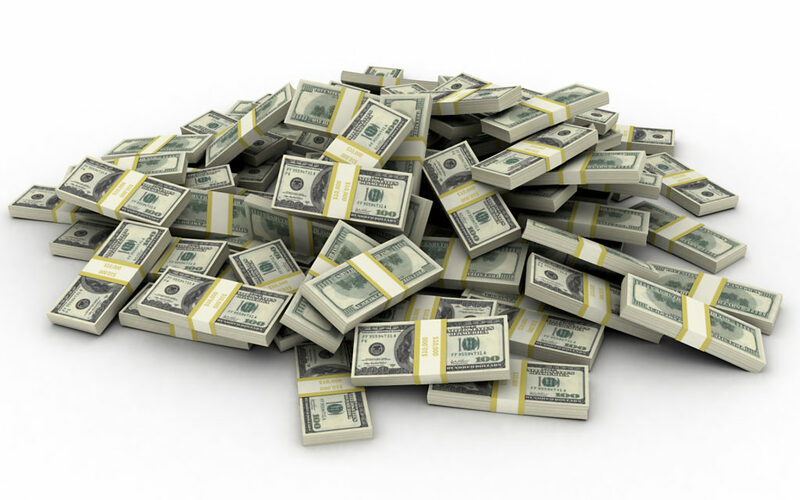 If you somehow find the money for the $225 level you’ll also receive the classiest GM screen I’ve ever seen. I’m sad to say that the older I get, the less time I have for roleplaying. But what my friends and I do have now is more money and creativity than ever before, and just about every RPG session I play in these days has received a level of upgrading that my 14 year old self couldn’t have dreamed of. 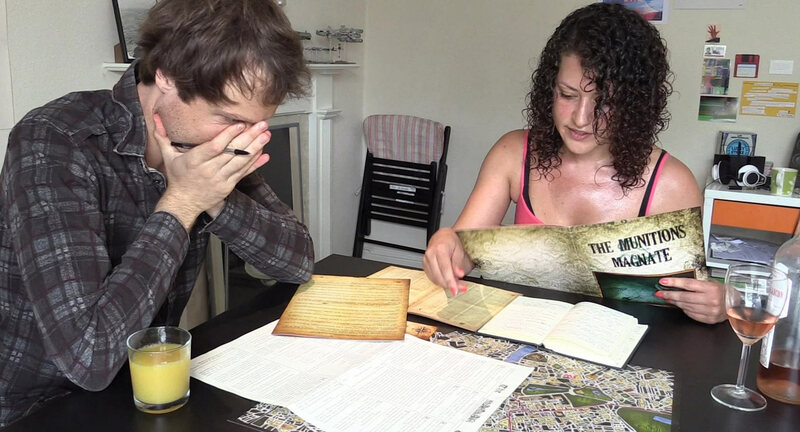 AND FINALLY, this Summer we gave a breathless review to Sherlock Holmes Consulting Detective, only to discover we’d sold the game out globally. Which is a bit like pole-vaulting so hard that you exit the stadium via a window. We’re happy to announce that a reprint is now upon us. Kind of. It’s mostly already sold out, but we’re still in the phase where dregs can be found in smaller shops! Give it a Google. You’re bound to have some luck.